Though they are considered to be the smallest of the four “big cats,” the leopard is one powerhouse of an animal. Their muscular body and powerful jaws allow them to take down large game, and pull their prey up into trees away from scavengers. 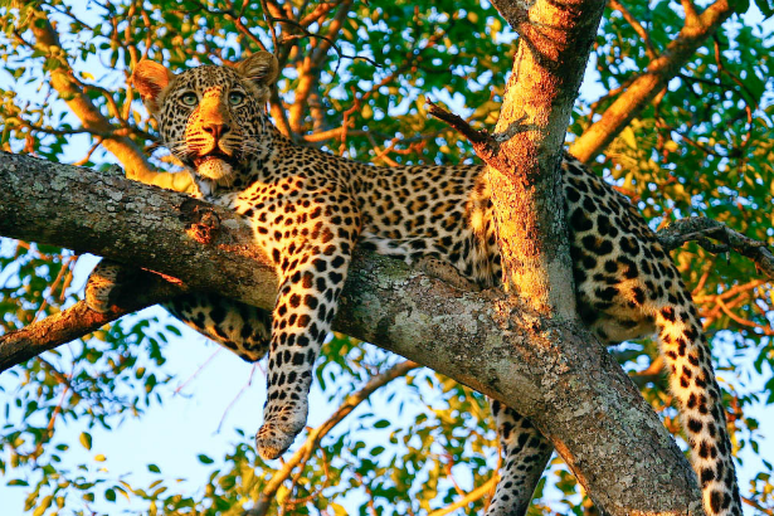 Leopards can be seen in much of Southern Africa, including, Botswana, Namibia, Zimbabwe and Mozambique, though rarely in South Africa. 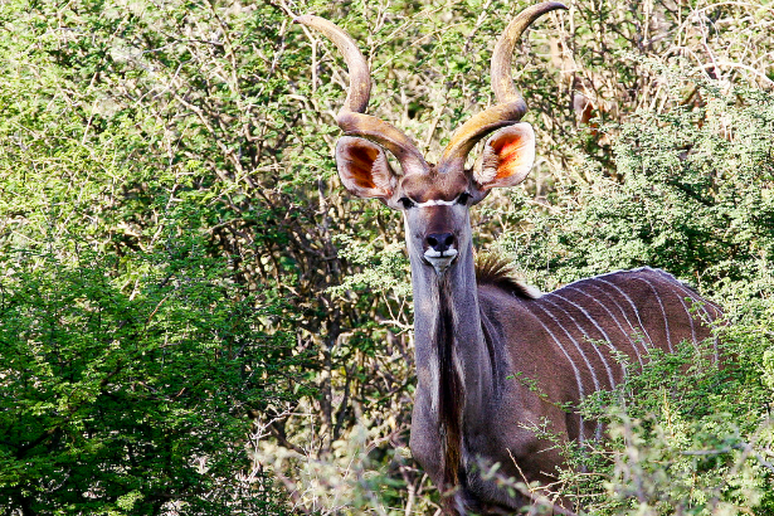 The male greater kudu is a majestic sight thanks to its spiraled horns. The greater kudu’s horns start growing at around 6 months to one year old, and do not reach their full height/spiral-count until the animal is about six years old. The males are typically solitary travelers, but will occasionally gang up with other males to form “bachelor groups.” Though relatively peaceful, male greater kudus will occasionally fight each other by butting heads. Very rarely, these fights will result in the two animals locking horns and dying of starvation or dehydration. Greater Kudus can be seen in Southern and Eastern Africa, extending from Ethiopia, down to South Africa and over to Angola. It doesn’t matter how many giraffes you’ve seen in zoos, nothing compares to seeing an individual or herd in the wild. The tallest land-based animal on the planet, it’s not easy to confuse a giraffe with another animal, which is why they’ve made this top ten list. They are found in the wild only in Africa, where there are several different sub-species. The sub-species vary in the patterning and color of their coats. 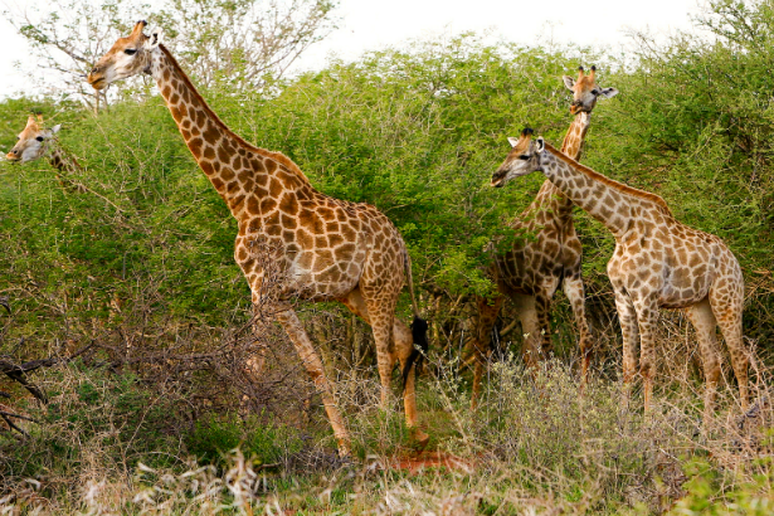 The largest density of giraffes is in Namibia, Botswana, Mozambique and South Africa. The male cape buffalo’s most striking feature is undoubtedly it’s horns, or “boss,” which is one continuous piece of bone covering the top of its head. 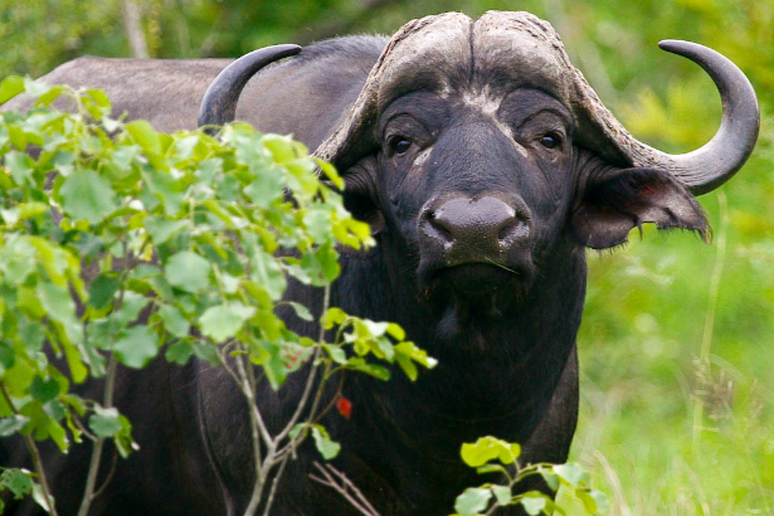 The boss is extremely hard, and serves as a helmet for the cape buffalo. Full grown, healthy buffaloes have few predators, besides humans, as they are excellent at defending themselves. For the most part, predators will only attack newborn calves or elderly buffalo. 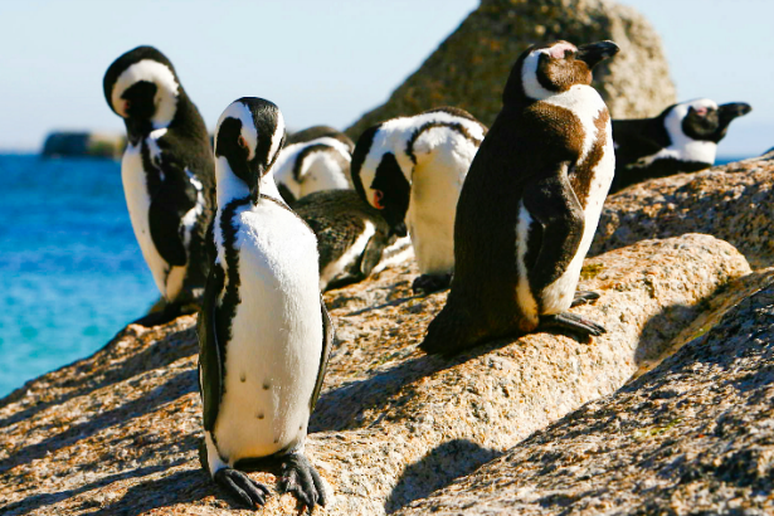 African penguins, which can be found on the southern coast of Namibia and around the tip of South Africa, are the only species of penguin to be found in Africa. Averaging a little over two feet in height, their black and white markings are a complex camouflage system, which allows them to be hidden from prey both above and below the water while swimming. The African penguin believes in tough love when parenting; if a penguin has to choose between saving herself and her chick, she’ll choose herself and let her offspring starve. Hippopotami may look cute and cuddly, but don’t judge a book by its cover. Hippos are incredibly aggressive animals that, despite their short, chubby legs, can outrun a human. They will often attack other animals, like crocodiles, for apparently no reason. Hippos are semi-aquatic and primarily live off of plants. 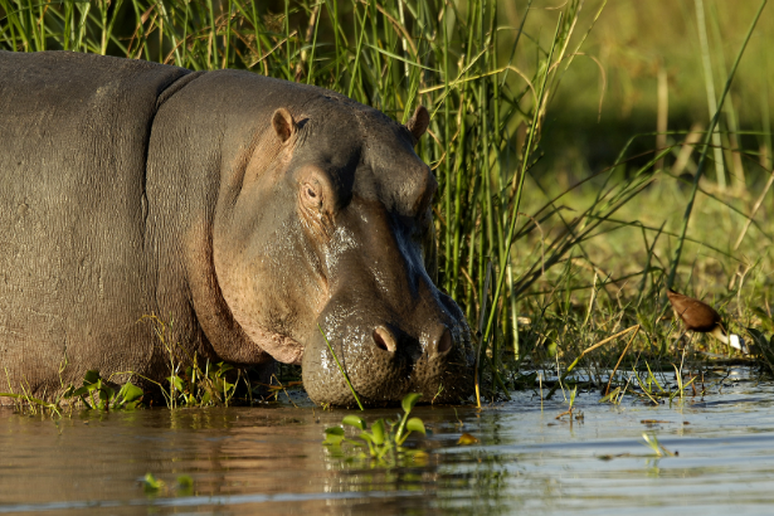 Hippos are common targets for poaching, which has made them a “vulnerable species.” They can be found in much of Southern Africa, with the densest populations living in Zambia and Tanzania. Like many owls, the Pel’s fishing owl is mainly active at night, at which time it fishes for its food. 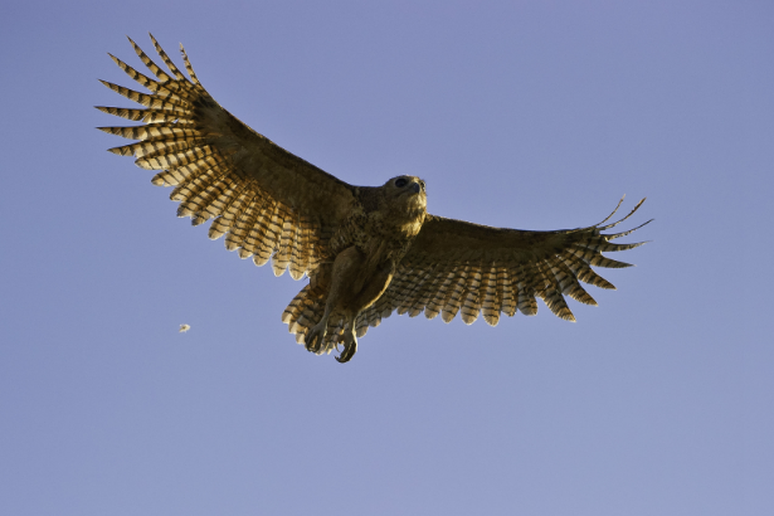 It is one of the largest owls in the world, with the wing span averaging about 60 inches. The Pel’s fishing owl has incredible markings, with a spotted body and striped wings. Because this owl relies predominantly on fish for its diet, it is most commonly found in regions that have a constant source of water. They can be found in much of Southern Africa, including Botswana and Zimbabwe. These small mammals are fiercely loyal to their clan (or family). During the day, when foraging for food, a clan will have one or two sentinels standing guard, while everyone else forages. If the guard senses danger, he or she will use various warning calls to alert the rest of the clan. 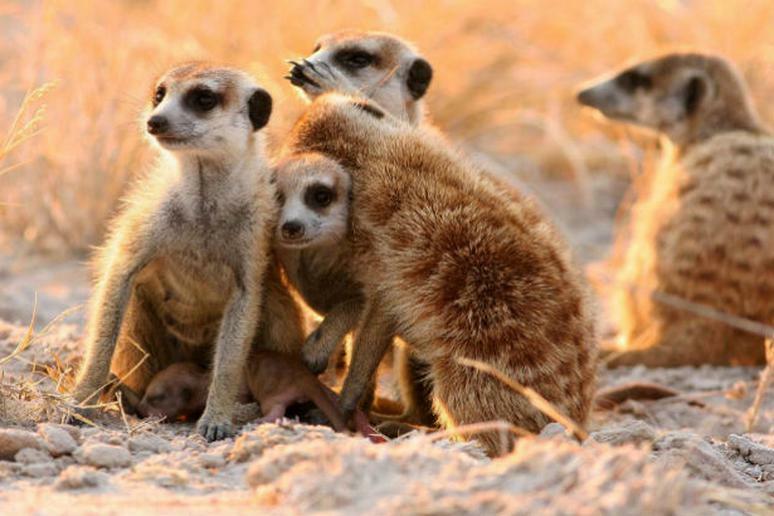 Meerkats have a complex language of calls for different situations, including alarm and panic calls. Meerkats can be found in South Africa, Botswana, Namibia and Angola. Let’s be honest, hyenas do not have a sparkling reputation. This reputation usually brings to mind thoughts of mangy scavengers, or the lowlifes of the bush (as can be seen in Disney’s The Lion King). 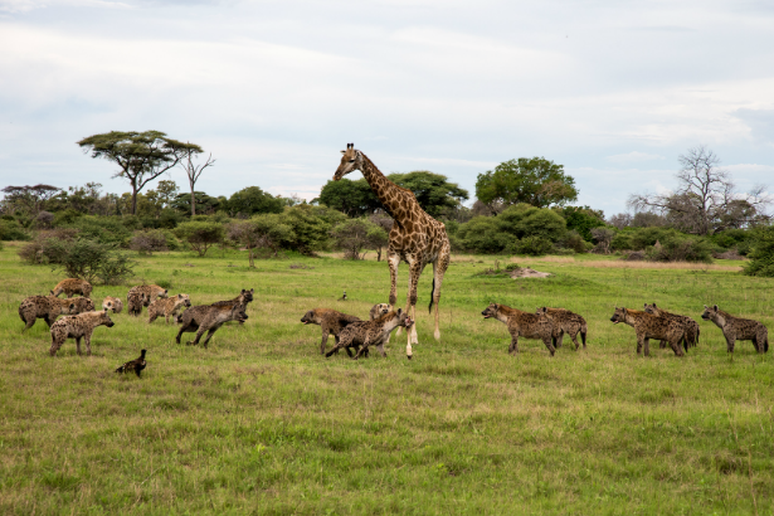 However, hyenas kill the majority of their food sources, only stealing a very small percentage. For the most part, hyenas hunt at night, and stay around their dens during the day. Hyenas can be found throughout Africa. 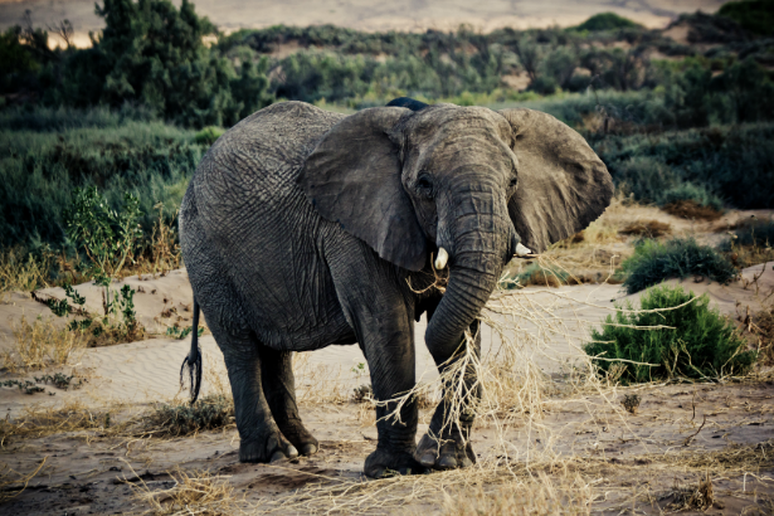 There are two different species of the African elephant, the African bush elephant and the African forest elephant. Both species are incredibly intelligent, and considered to be one of the smartest animals on the planet. They live in families that are led by matriarchs. Unfortunately, both African bush and forest elephants have seen their numbers dwindle due to poaching.